We’re getting closer to that time of year. The days soaking up the sun, enjoying sunset cruises, fishing, and playing on the lake are not too far way. It’s the time of year when we dust off our boats and think about everything we need to do to get our boats ready for the water. There are several things you’ll want to do before firing up your boat for the first time this spring and taking it out on the water. We’ve prepared this brief, easy-to-understand and easy-to-implement guide to help you through the process of how to dewinterize your boat and prepare for the spring start. One of the first things you will want to do is check your engine oil. If your engine oil was not changed before putting your boat away for the winter, it should be changed now and filled to the appropriate operating level. You’ll also want to replace the oil filter and change out your gear lube if that was not changed out in the fall. If your boat has a power steering reservoir, you’ll want to check that as well and be sure it is filled to the appropriate level. Cold weather and sitting idle for a period of time can be hard on the battery of your boat. Hopefully your battery was unhooked during the winterization process in the fall. When you’re ready to test your battery, make sure it is filled with water and test with a battery tester. If it tests well, clean off any corrosion from the terminals and install. If it does not test well, you will probably save yourself time, headaches and money by going ahead and replacing it. The colder temperatures can be hard on the lines and hoses of your boat. You’ll want to do a thorough visual inspection of all your fuel lines, cooling system hoses and connection clamps to be sure there are no cracked lines and all connections are tight. Your cooling system lines should have been drained in the winterization process to avoid freezing and breaking. The fuel tank should have been left full through the winter with a fuel stabilizer additive. This will prevent any moisture from getting into your fuel tank and causing problems. Check your fuel filter to ensure it is clean and clear. It should be replaced periodically to keep your boat running smoothly. If everything looks good, the cooling system can be refilled and the gas tank can be topped off with fresh fuel. Any lines or hoses with cracks or that appear to be dried out and brittle should be replaced. You’ll want to remove your distributor cap and make sure the distributor has not been corroded over the winter. You will also want to check all your spark plugs to make sure they’re in place and tight. A plastic bag may have been placed over your carburetor during the winterization process. This is to keep it clean and prevent moisture from entering. The last thing you’ll want to check to make sure your boat is ready for the water is your belts. If a belt feels loose when you push on it, it is likely worn and should be replaced. Another indication of a worn belt can be black soot around the pulley. Now, you’re ready to start the engine. Make sure you have water to the drive if you are starting your boat on land. Once you have it running, you’ll want to do another walk-around to make sure there are no leaks anywhere and that all your gauges are reading at the desired levels. You’ll also want to make sure the bilge pump and blower are running. We hope you’ve found this guide helpful. At Jones Bros Marine, we have a knowledgeable and experienced team in our service department. We can perform all of these tasks and more to ensure your boat will run smoothly all summer long, so you can enjoy worry-free time on the lake with your family and friends. If you have any questions or would like to set up a service appointment, give us a call at 660-747-0388. This entry was posted in News & Events on March 18, 2016 by Jones Bros Marine. BIG Rebates - Available Now! The days are getting longer, the weather is getting warmer, and the savings are getting hotter. 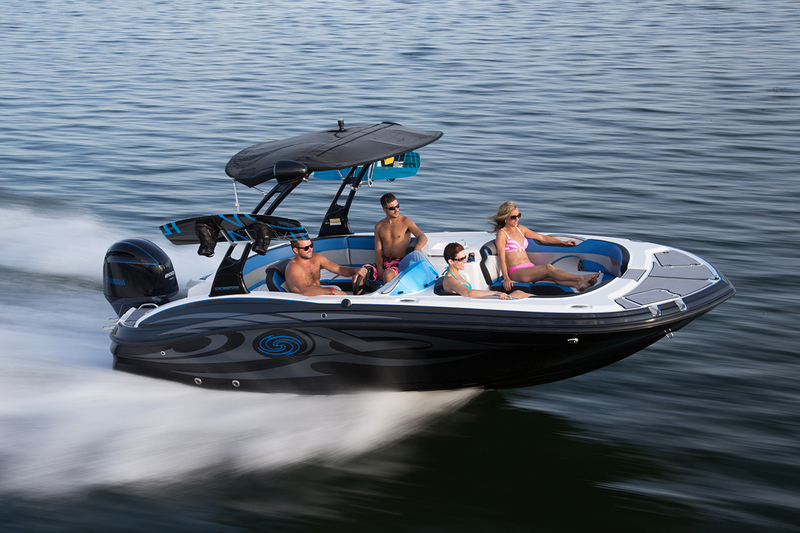 Now is the time to buy the boat you've been day dreaming about all winter. 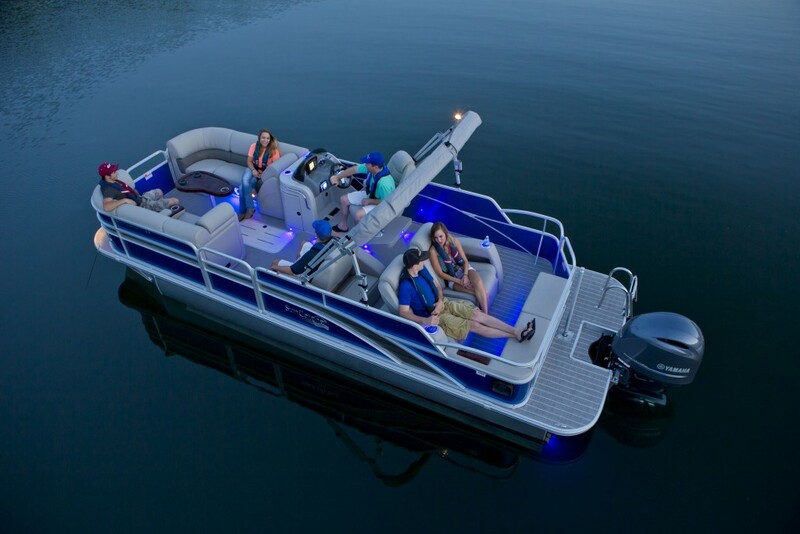 BIG Rebates are available now towards the purchase of a new Cypress Cay or Suncatcher Pontoon, or G3 Fishing Boat. Offer expires March 31, 2016. This entry was posted in News & Events on February 29, 2016 by Jones Bros Marine. Save BIG on 2013 G3 185 F! 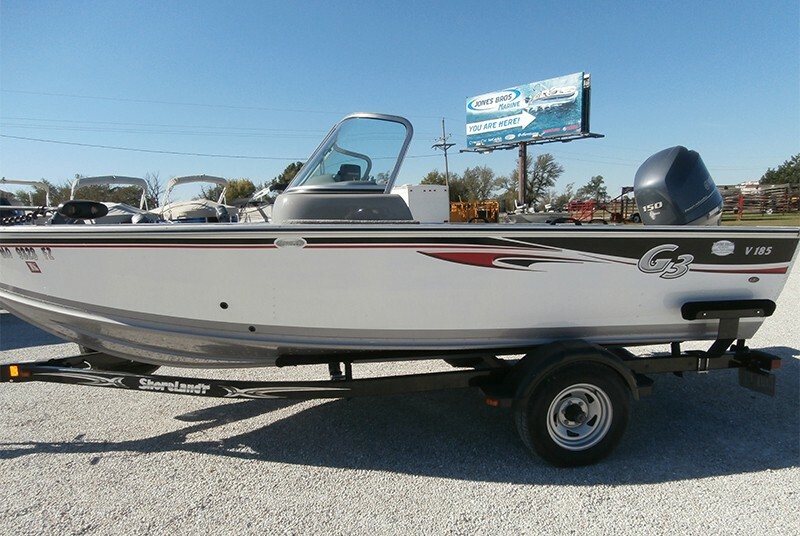 We have an incredible new price on our 2013 G3 185 F Fishing Boat! This entry was posted in News & Events on February 12, 2016 by Jones Bros Marine. See us at the Topeka Boat & Outdoor Show! Don't let the cold weather get you down. Summer is on its way. 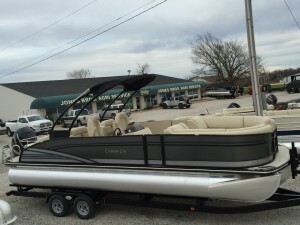 Come check out our beautiful new 2016 Cypress Cay and Suncatcher Pontoons and G3 Fish Boats at the Topeka Boat & Outdoor Show, February 5-7, at the Kansas Expocentre in Topeka, KS. Here's a few of our new 2016 models that will be at the show. This magnificent new 2016 Cypress Cay Cayman 250 LE in Pewter with Silver accents comes equipped with the Cypress Cray Convenience Package, Black Delta Tower with Bimini, T3 Performance Package, and Dual Lounger Floor plan with Dual Helm Seats. All powered by a 350 HP Mercury. This beautiful new 2016 Cypress Cay Cozumel 240 in Dune with Ocean Blue accents comes equipped with the Cypress Cay T3 Performance Package, Convenience Package, and Center Walk Through Floor Plan with Dual Helm Seats. This new 2016 Cypress Cay Cabana 220 in True Red comes equipped with the Cypress Cay T3 Performance Package, Convenience Package, and Center Walk Through Floor Plan. Adults $6.95, Youth 6-12 $4.95, under 6 are free. For more information about the Topeka Boat & Outdoor Show visit: rjpromotions.com/event/topeka-boat-outdoor-show. This entry was posted in News & Events on February 4, 2016 by Jones Bros Marine. See us at the KC Boat & Sportshow! 'Tis the season...Boat Show season that is. One of our favorite shows is right around the corner, the Progressive® Kansas City Boat & Sportshow will be held January 21-24 at H. Roe Bartle Hall in Kansas City, MO. 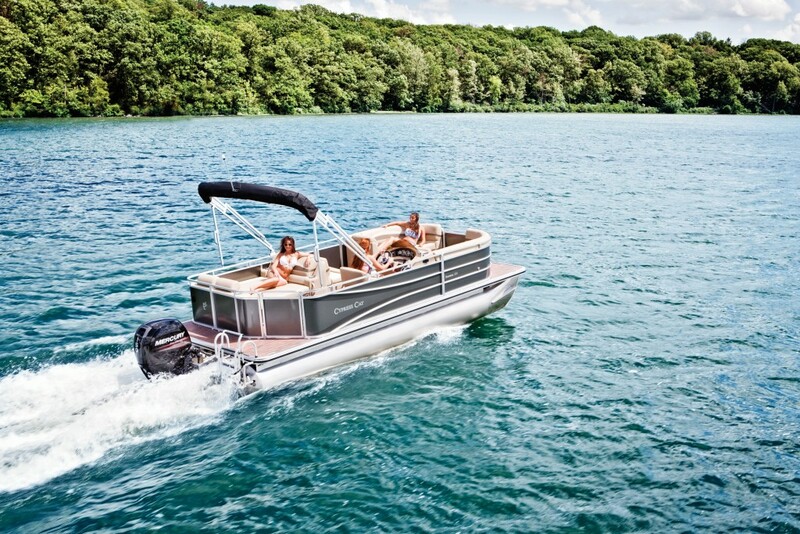 Come see us at Booth M38 and check out our beautiful new 2016 Cypress Cay and Suncatcher Pontoons, and G3 Fish Boats. Here's a sneak peak of a few of our new 2016 models that will be at the show. To get special pricing on advanced tickets and learn more about the show, visit: www.kansascitysportshow.com. If you have any questions, or if you don't want to wait until the show to see our new 2016 models, stop by our store or give us a call at 660-747-0388. This entry was posted in News & Events on December 31, 2015 by Jones Bros Marine. 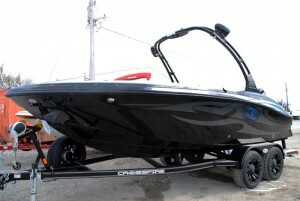 Save BIG on this New 2015 Hurricane Crossfire 203 SS OB! $4,500 Factory Rebate Available Now for a Limited Time Only! This entry was posted in News & Events on November 17, 2015 by Jones Bros Marine. SAVE BIG on 2015 Cypress Cay Cozumel 240! Save thousands with our special demo pricing on this beautiful 2015 Cypress Cay Cozumel 240! 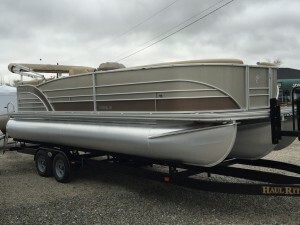 This 2015 Cypress Cay Cozumel 240 pontoon (in Dune) has a center walk through floor plan with dual helm seats and comes equipped with the Cypress Cay Convenience Package containing wood grain portable cupholders, upgraded Sport steering wheel, QR fenders system, gate stops, flip-up cleats & kick plates plus the extra lighting package which consist of lighted cupholders, rope lighting, and lighted speakers. 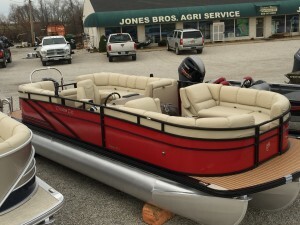 Popular added features include a dash-mounted Elite 4 fishfinder with GPS and depthsounder, an American Flag, double battery selector switch, Berber carpet and rear woven diamond flooring, seat covers, ski locker, and a ski tow pylon. 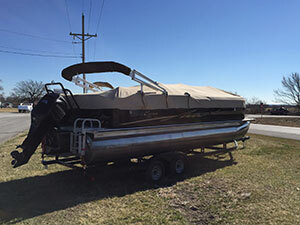 This pontoon is also fitted with the T3 Performance Package Plus which includes an added full length lowered center tube creating a V-hull design, lifting strakes, rough water package and a 50 gallon fuel tank. This magnificent pontoon is powered by a 250 Mercury Verado. Call (660) 747-0388 or visit Jones Bros Marine for more information. Fall is a beautiful season. The leaves start to change and cooler evenings bring out the hooded sweatshirts. Time sitting around a fire starts to replace some of the evenings we spend out on the water. The bad news is the boating season is winding down. The good news is that Jones Bros Marine can make winterizing your boat and putting it away easy. Just give us a call to schedule an appointment. We can even pick up your boat at the lake if you don't have a trailer or don't have time to pull it out of the water. We stock a full line of marine engine oils, gear lube, oil filters, air filters, engine and fuel system cleaners, and marine cranking boat batteries. 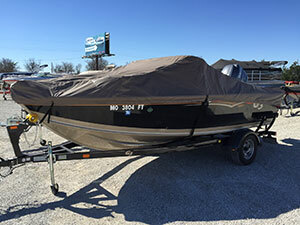 Our highly skilled service team provides boat and motor repairs, boat service and maintenance, boat winterization, boat storage and shrink wrap, and much more. 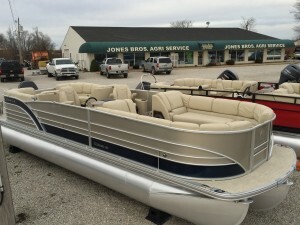 For any boat part or boat service, the knowledgeable and friendly staff at Jones Bros Marine will have you covered. For more information or to schedule an appointment, give us a call at 660-747-0388. This entry was posted in News & Events on September 21, 2015 by Jones Bros Marine. Huge Savings on 1996 Scarab! 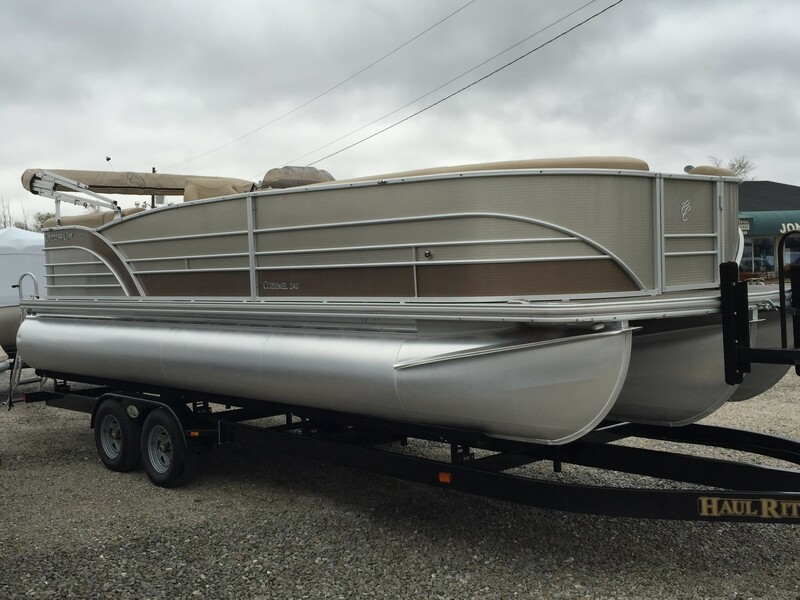 We have an incredible new price on our 1996 Scarab Wellcraft Party Barge 25 I/O! This entry was posted in News & Events on August 21, 2015 by Jones Bros Marine. 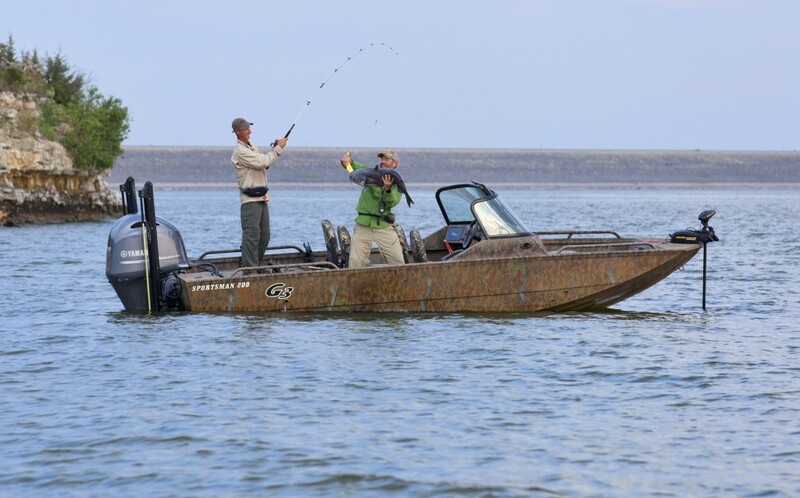 $2,250 Rebate on New G3 Sportsman 17! Save BIG on this Brand New 2015 G3 Sportsman 17! $2,250 Rebate Available Now for a Limited Time Only! This entry was posted in News & Events on August 20, 2015 by Jones Bros Marine.